While in Vegas, there are plenty of shows to go and see. Shania was in town. So was Britney. With my most recent concert being Katy Perry, I am sure there were questions. However, two of my favorite boy bands were in town on the same bill so that was the obvious answer. I swear Volbeat hasn’t gone home in years. These rockers from Denmark just keep gaining steam in the USA and its well deserved. I love the sound and the songs. Excited to see what is next from them. They put on a great set with lots of the older stuff and dropping a few of the newer songs. 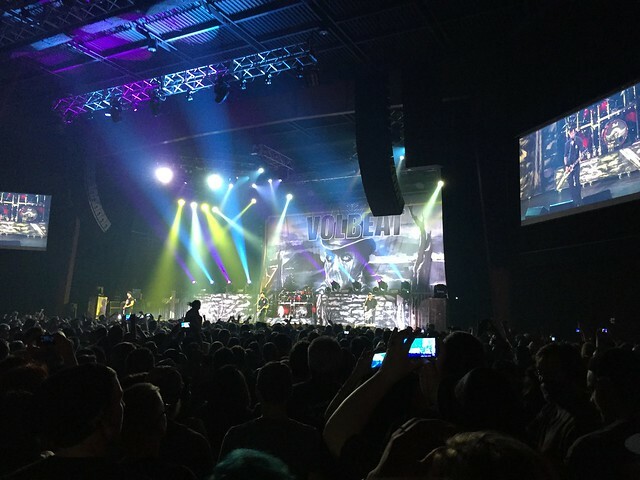 5FDP is now calling Vegas home so they got to enjoy their hometown crowd with plenty of visitors like me in the crowd. Their set seemed to weight more on newer stuff and dropped some of the classics (no White Knuckles?). Only 1 song in the encore with The Bleeding. Guess they wanted to get back home, which was probably a short drive. I took a co-worker to the show who hadn’t heard of these bands before. I was curious how she would rate such bands seeing them blindly. Interestingly it was a close call but 5FDP edged out Volbeat in her mind. Fair enough. 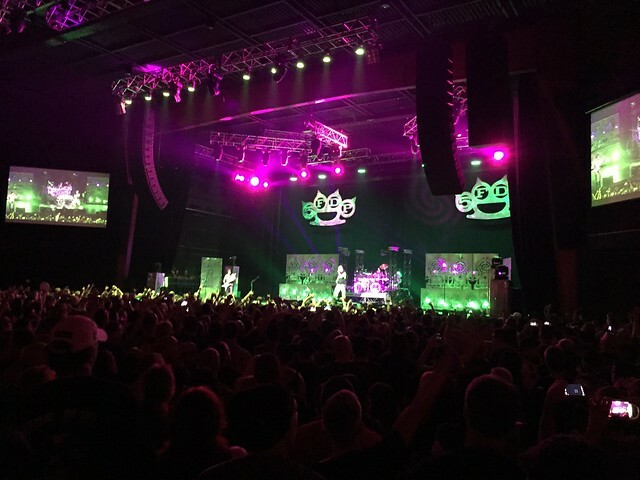 5FDP is in Denver on Tuesday…can’t get enough!